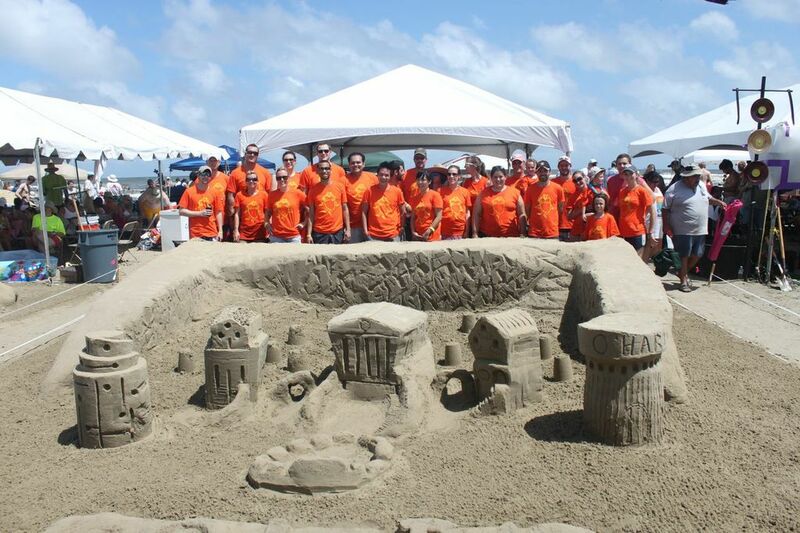 2013 AIA Sandcastle Competition: A Great Success! 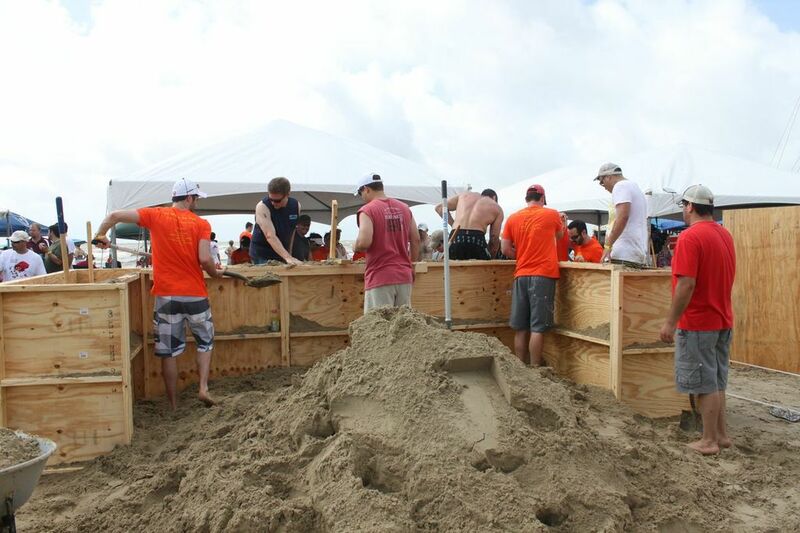 On June 1st, Pinnacle Structural Engineers teamed up with Energy Architecture and Momentum Engineering to take on the veterans of the AIA Sandcastle competition. As fairly new competitors, we eagerly approached our second year in the competition armed with the lessons we learned from last year. We began discussing and planning our sculpture in early April to give us plenty of time to iron out the details and be as prepared as one can be for the big day. 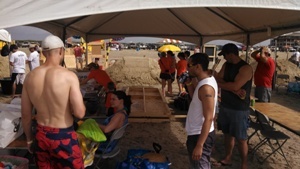 As it was the first AIA Sandcastle competition for many of us, we did our best to prepare, but as I was told, nothing truly prepares you for what to expect on East Beach more than competing itself. As we approached the site in our “safety orange” Lorax t-shirts the wind is blowing and the heat at 7 am is already getting to you. 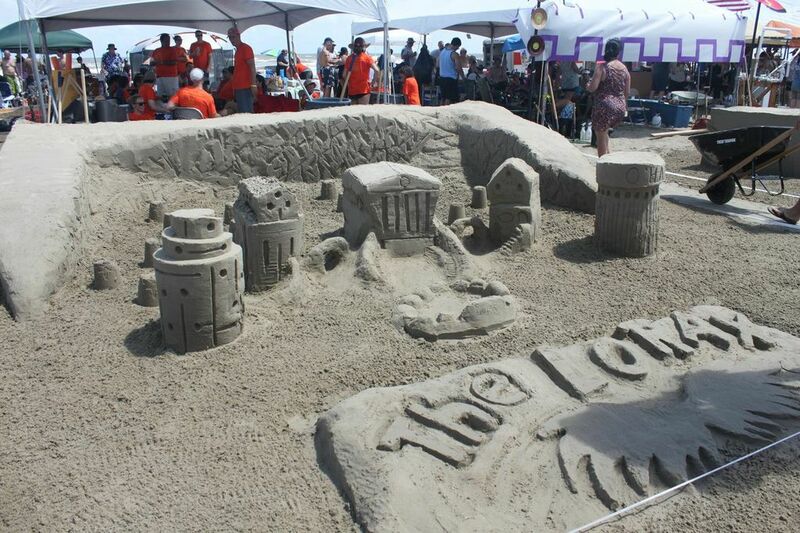 Then as you see the large mound of sand waiting for you there is a bubble of excitement that ignites childhood memories and suddenly the heat is unnoticeable! We all excitedly collected under the tent at our site enjoying a wonderful breakfast provided by Teknion and discussing our plan of action. 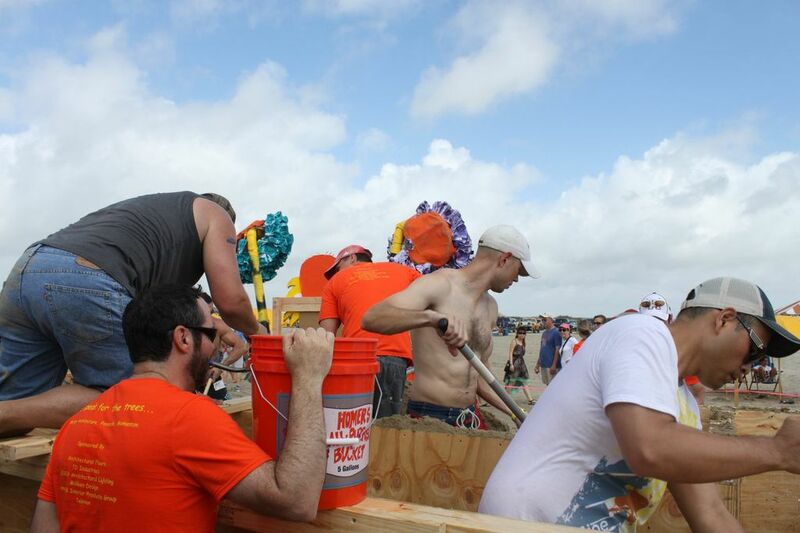 The excitement grew as more and more people began to show up and we approached the start of the competition. 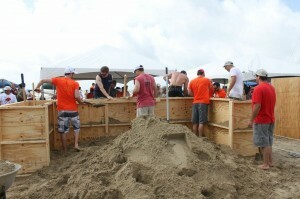 Promptly at 10 am the competition began. 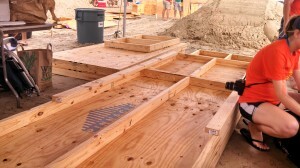 The forming crew went straight to work moving the mountain of sand and placing the forms for what would be the wall that encloses Thneedville and keeps the citizens unaware of the true decaying condition of the environment outside the city. 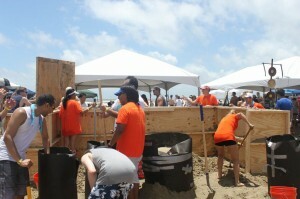 The rest of us hit the ocean with five gallon buckets and quickly formed an assembly line to transport water to our site. 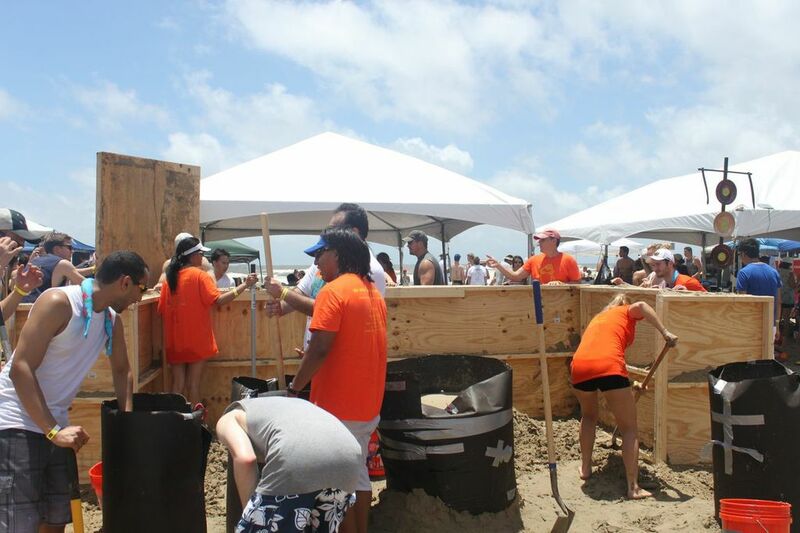 Working as a team, we were all able to get ample water to the site and truly benefited from everyone’s strengths. The day flew by as we all worked diligently to attempt our hands at some Dr. Seuss-inspired architecture and we were pleased to see that our incredible sign and fun Lorax tattoos were creating quite the buzz around our site. The sun beat down on our backs as we worked away. 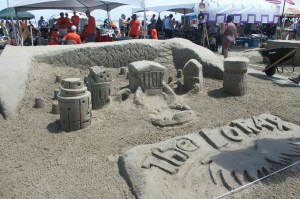 The heat and humidity climbed but we were having so much fun there was little time to realize it. We all worked in shifts and enjoyed the BBQ lunch we brought and shared a few beers amongst friends as the children were running and playing on the beach. We had a great time getting to know each other a little better beyond the walls of the office. Here at Pinnacle we truly enjoy the camaraderie that we share and always look forward to seeing and getting to know each other’s spouses and families. 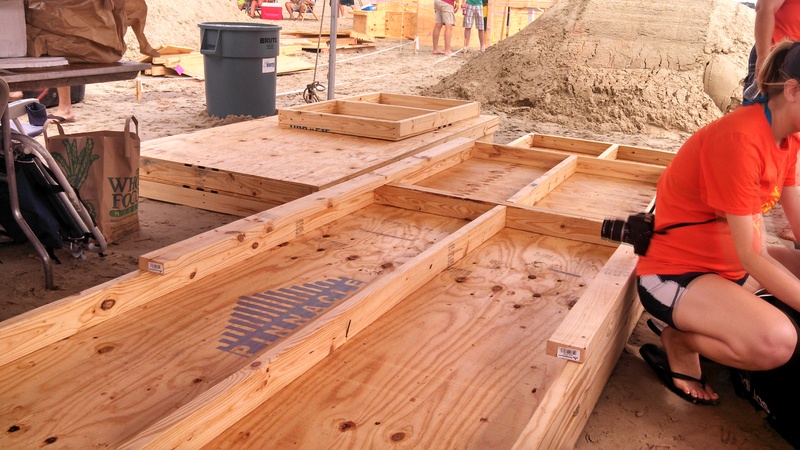 As the end of the competition came near, we quickly cleaned up our site and stepped back to reveal what all the teamwork, planning, and manpower had resulted in, and were pleasantly surprised! 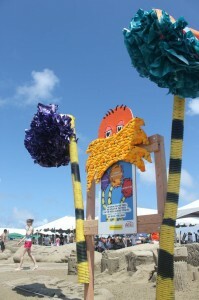 The site looked great; all the planning and hard work had paid off. Looking back on the experience, I am proud to say we had a great turnout, everyone from Pinnacle was there and we had over 40 people show up to pitch in and create our sculpture. All in all it was a great experience and we learned even more to help prepare us for next year. So look out veterans, we are coming for you in 2014! Thank you to everyone who helped make this year a great success! This entry was posted in Uncategorized on June 13, 2013 by Keri Shivers.